The ambassadors were asked to tell the equivalent of the foreign ministries and prime minister’s offices in the countries where they are serving that there isn’t much time left to stop the nuclear program through diplomatic means. The sanctions campaign comes ahead of the planned November 8 release of an IAEA report, which is expected to reveal new details about the scope of Iran’s nuclear program. The IAEA is reportedly preparing to bring proof that Iran is attempting to build a nuclear bomb. Israel and the U.S. are planning to use the report in a worldwide campaign to push for isolating Iran. Sanctions suggested by Israeli representatives in recent talks with the U.S., France, Britain and Germany include banning contact with Iran’s central bank and banning the purchase of Iranian crude oil. 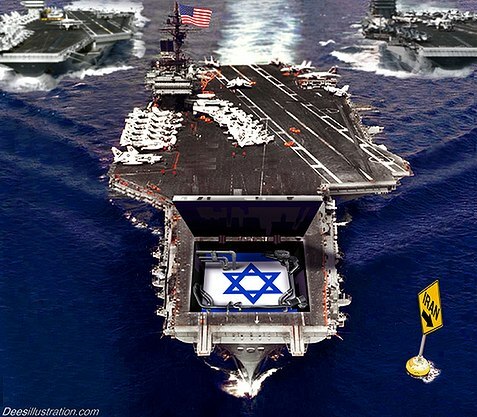 Israeli officials also suggested imposing additional sanctions on Iranian airlines and ships. Israeli officials noticed last month that international interest in stopping Iran was flagging, said a senior Foreign Ministry official. “International and Israeli attention was focused on the Arab Spring, on flotillas to Gaza and on the Palestinian move in the UN,” he said. A few days ago, the ambassadors received another cable, directing them to highlight the alleged Iranian plot to assassinate the Saudi ambassador to Washington. “You should emphasize that this incident indicates the need to isolate Iran,” the cable said. According to Israeli intelligence information, Iran has been carrying out low-level uranium enrichment at a stable pace, despite the existing sanctions. Iranian officials have been outspoken about their interest in tripling the pace of producing uranium enriched to 20 percent, moving the centrifuges from a non-reinforced facility in the central Iranian city of Natanz to an underground enrichment facility in Qom. At the same time, Iran is continuing to build a heavy water reactor in Arak, which would enable them to produce the plutonium needed for a nuclear bomb. Although Israel’s latest push for sanctions is new, diplomatic efforts to thwart the Iranian nuclear program are ongoing, one of the Foreign Ministry officials said. An interministerial task force headed by Yaakov Amidror, the national security adviser, meets every few weeks to coordinate the diplomatic efforts. Other members of the task force include representatives of the foreign and defense ministries, the IDF and the Mossad.